Ever since the invasion from The Dark Multiverse and the destruction of The Source Wall that marked the boundary between universes, magic has ceased to act reliably. Now simple spells summon monsters from beyond reality and the mages of Earth fear that the nature of magic itself may be changing to reflect the broken universe. 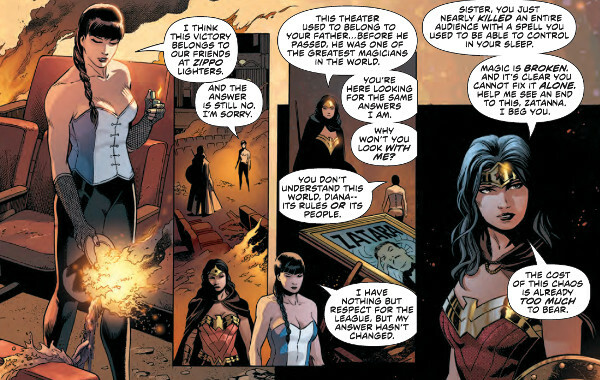 It is a mystery that Diana of Themyscira would solve but she does not know where to begin. Despite her inherently magical nature, the mages of Earth do not see her as part of their world. Even Zatanna, the one magician with whom Wonder Woman is friendly, is standoffish on the subject and The Oblivion Bar – once home away from home to mages in need of refuge or a drink – is all but empty, as Earth’s mages seek shelter from the storm they sense coming. Still, heroes are needed. And if the mages will not act, the outcasts of the magical world will. An Amazon Princess empowered by the gods of Ancient Greece. A scientist turned monster seeking redemption within the mysteries of magic. A swamp monster connected to a power he barely comprehends. A stage magician just now starting to understand the true magic she commands. And an an immortal talking chimp with a magical sword, who owns a bar and works as a private investigator. It’s an unlikely group but they may be all that stands between us and total destruction. 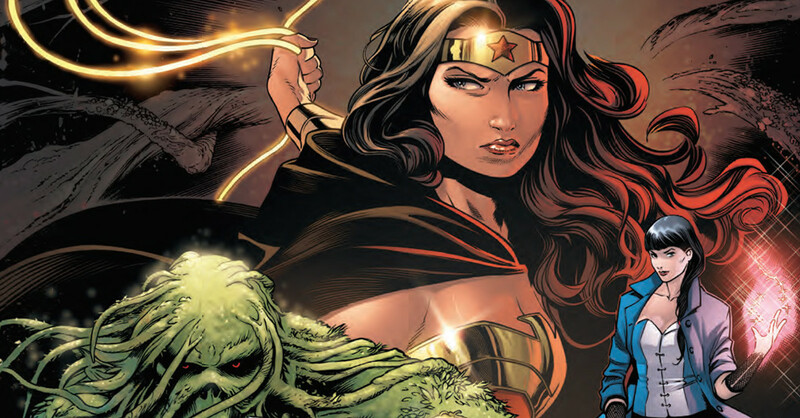 Those who are familiar with James Tynion IV’s work on Detective Comics will not be at all surprised to find that Justice League Dark is cut from the same cloth, despite featuring an entirely different cast. Tynion’s greatest gifts as a writer are his ear for dialogue and the ability to balance an ensemble. Both talents are well-displayed here, as we are introduced to the line-up of the new Justice League Dark. Tynion also has a great gift for delivering exposition naturally and subtly working references to classic comics into the narrative. Fans of Shadowpact (the series that was the director ancestor of the first Justice League Dark series) and Tynion’s Constantine The Hellblazer series will appreciate some of the nods that this story includes. There’s even a blink-and-you’ll-miss-it reference to Crisis on Infinite Earths! The artwork is of equally excellent quality, produced by Tynion’s former partners on Detective Comics. Alvaro Martinez and Raul Fernandez were a wonderful art team and prove as adept at depicting otherworldly creatures and magical way-stations as they were the thugs and dark alleys of Gotham City. Martinez lends an aura of mystery to everything he draws, resulting in sights I never thought I’d see within the pages of a comic, like a chimp with an enigmatic stare. Fernandez’s finishes, paired with Brad Anderson’s colors, result in some truly atmospheric panels where the fire light on the page seems to radiate heat. 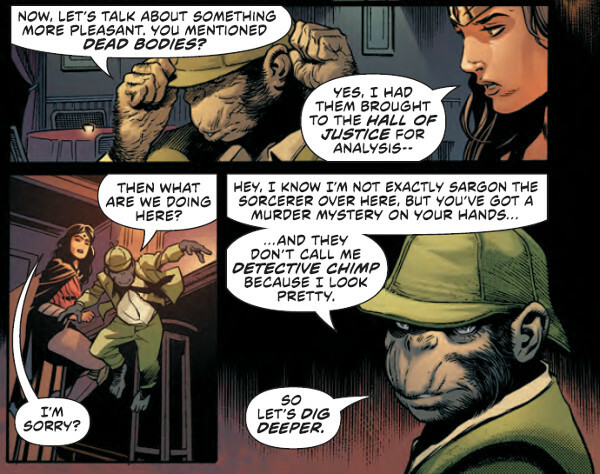 Justice League Dark #1 may not be everyone’s cup of tea. Personally, I loved it. And I think you’ll love it too if you’re a fan of magical heroes, Wonder Woman, unique ensembles, good, dark artwork, John Bloody Constantine, chimps, detectives, chimps who are detectives or have been following the on-going collapse of the DC Comics Universe since No Justice. 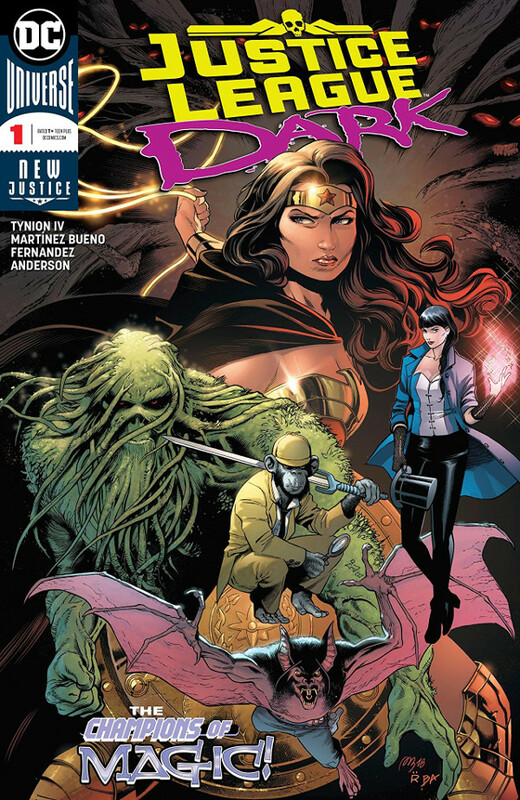 10/10 Justice League Dark #1 releases on July 25, 2018!